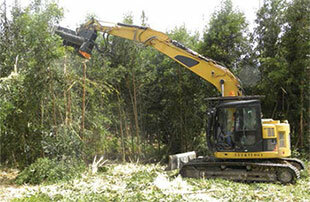 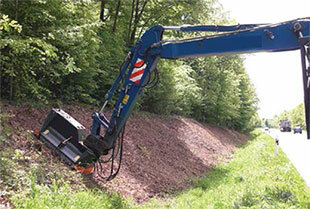 Capable of producing Classe I / Category I Mulch to meet the most demanding mulching contract specifications. 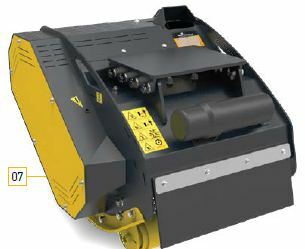 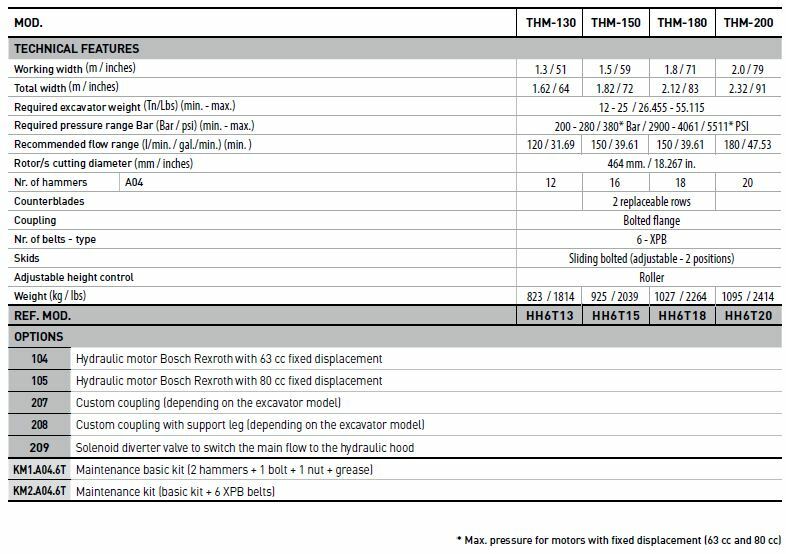 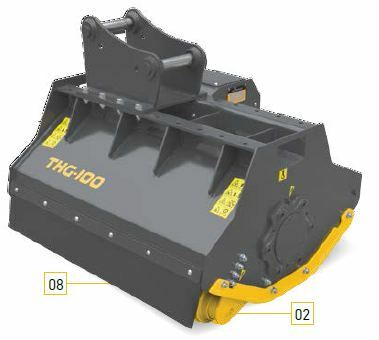 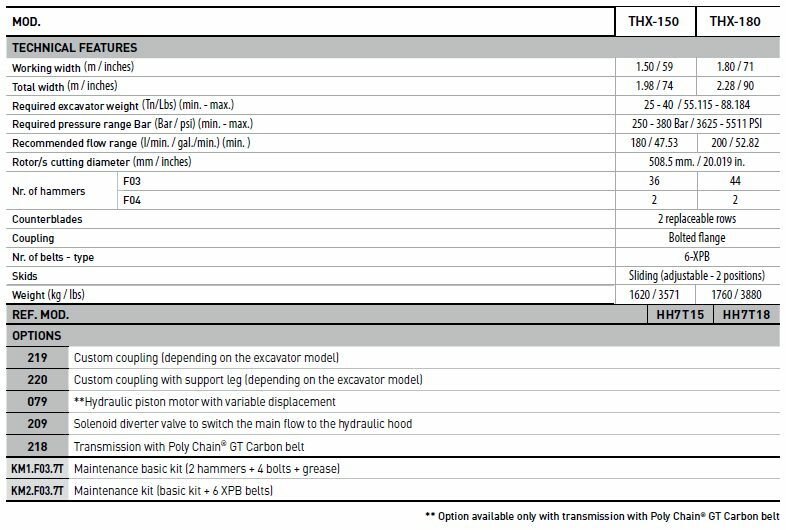 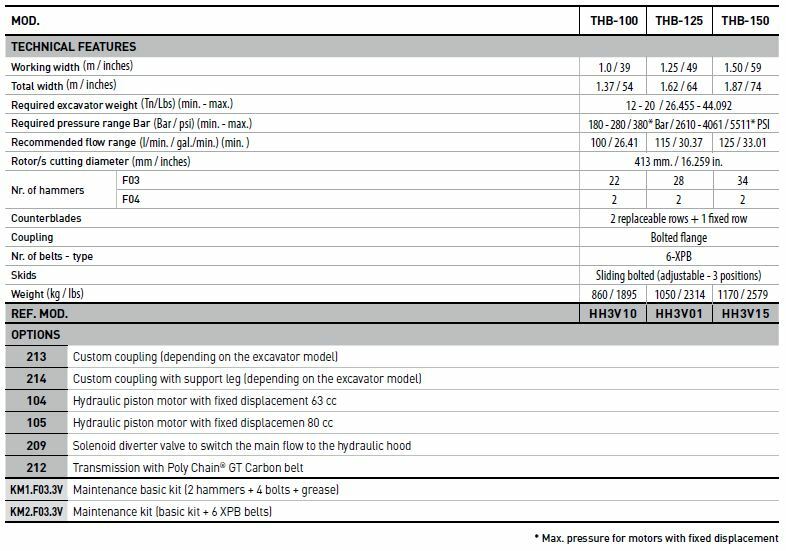 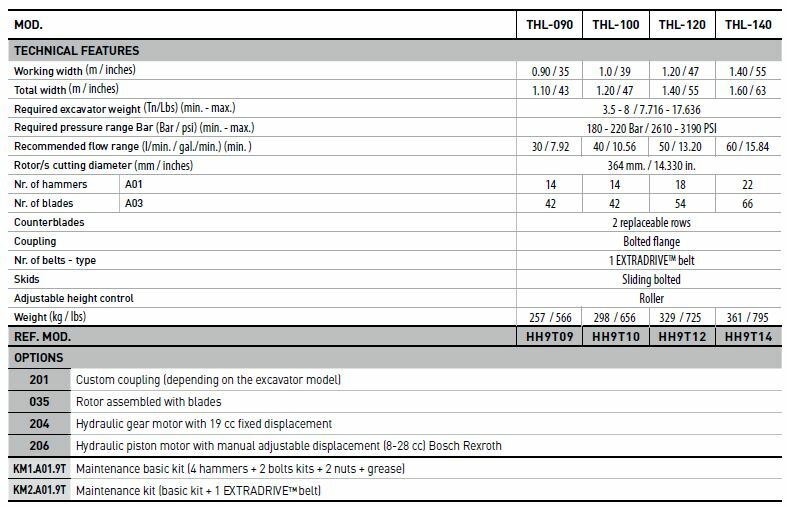 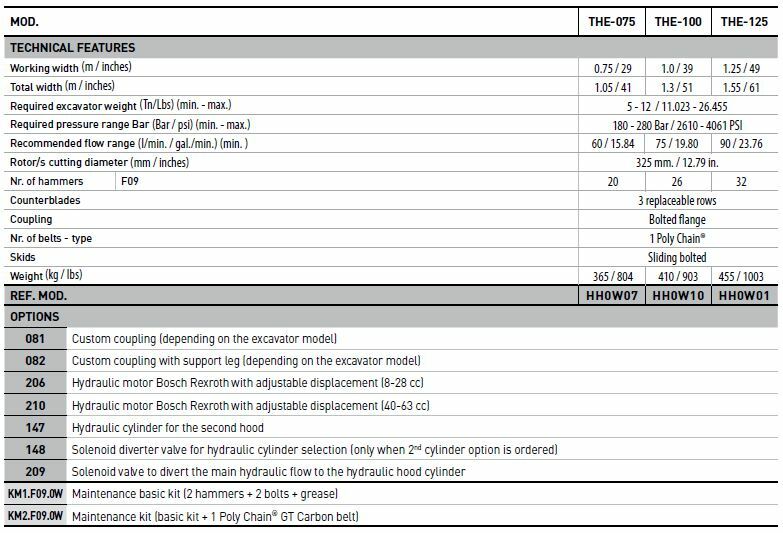 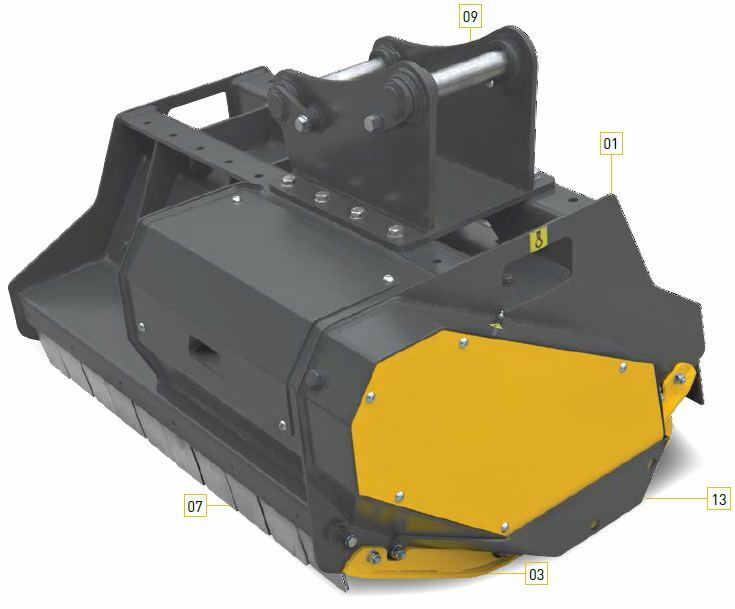 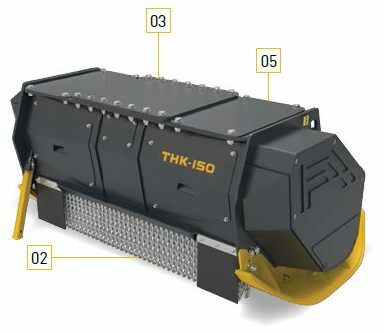 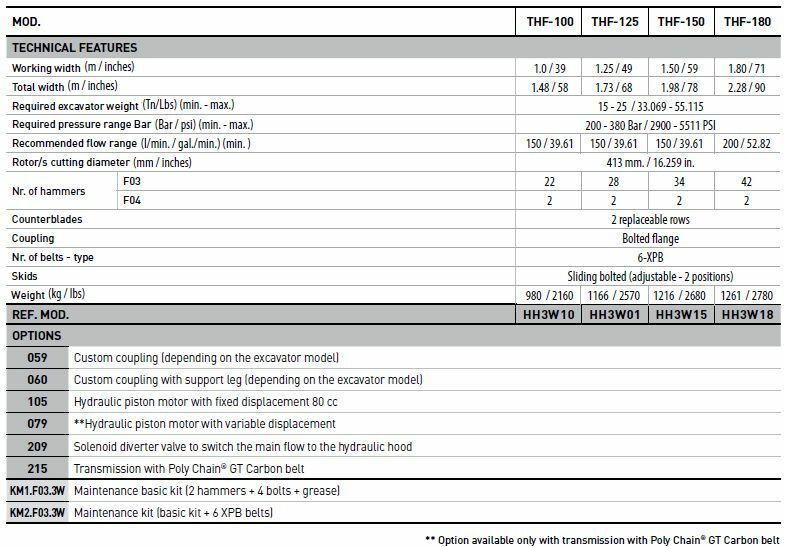 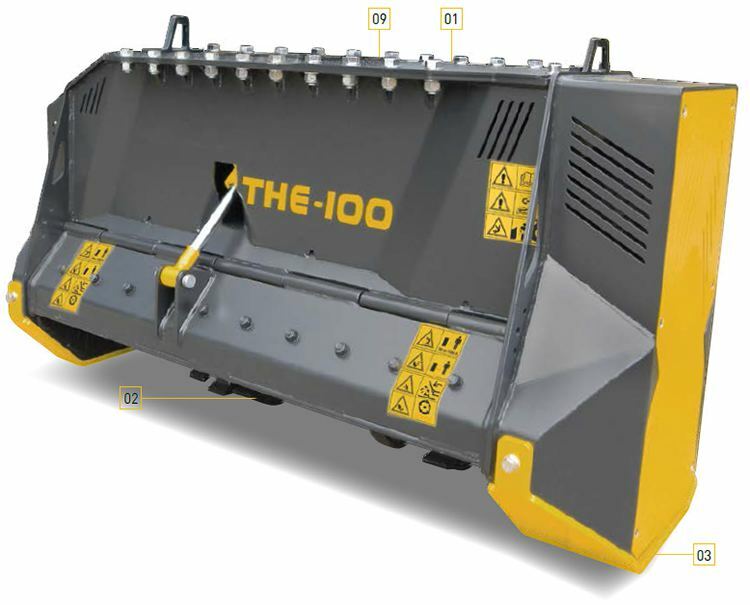 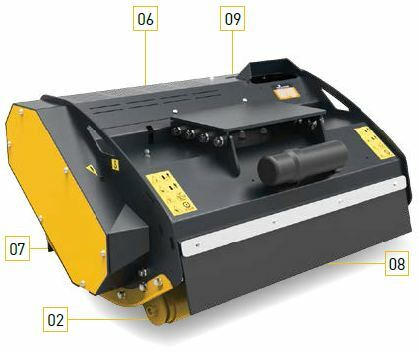 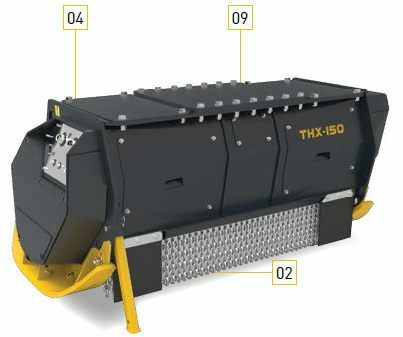 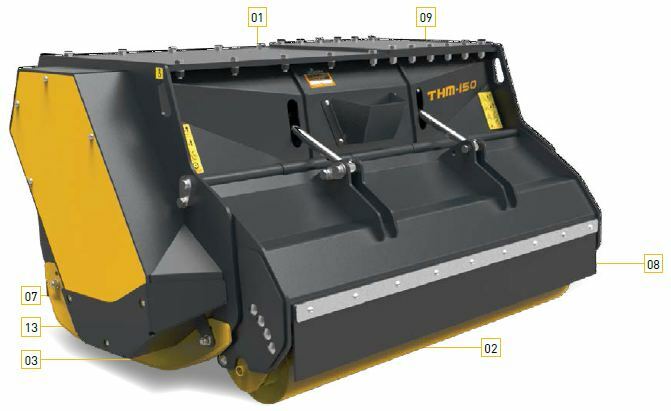 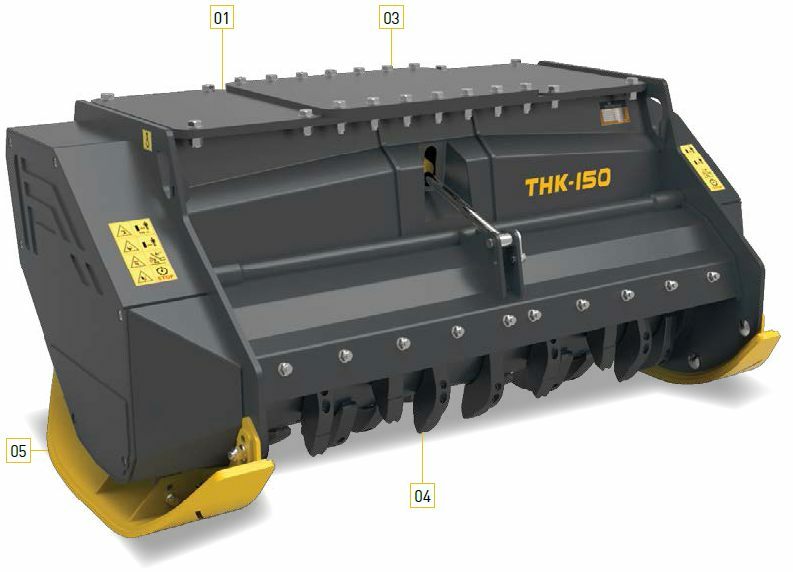 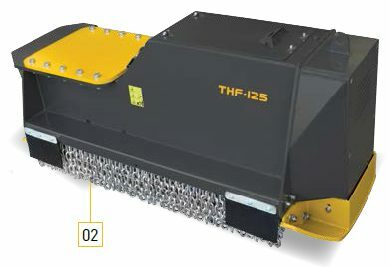 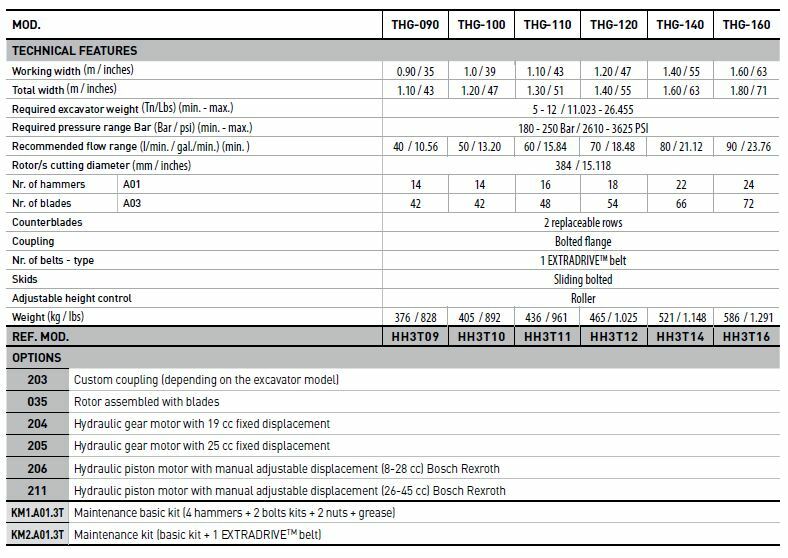 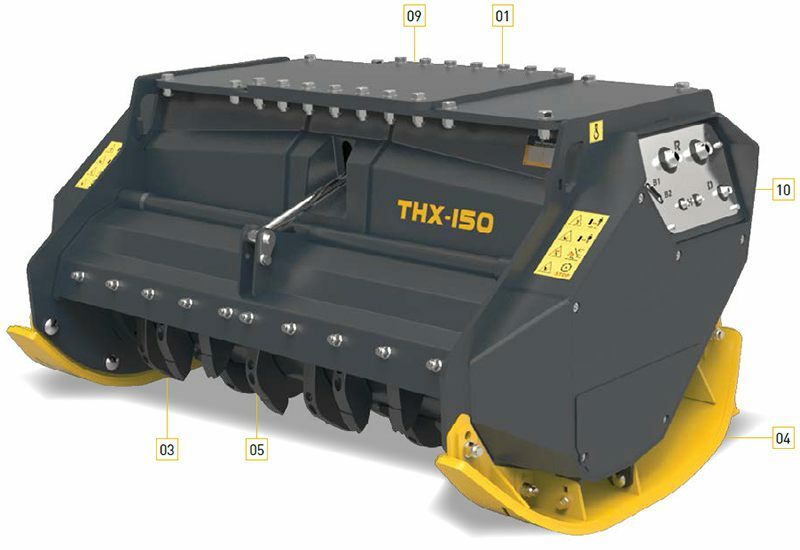 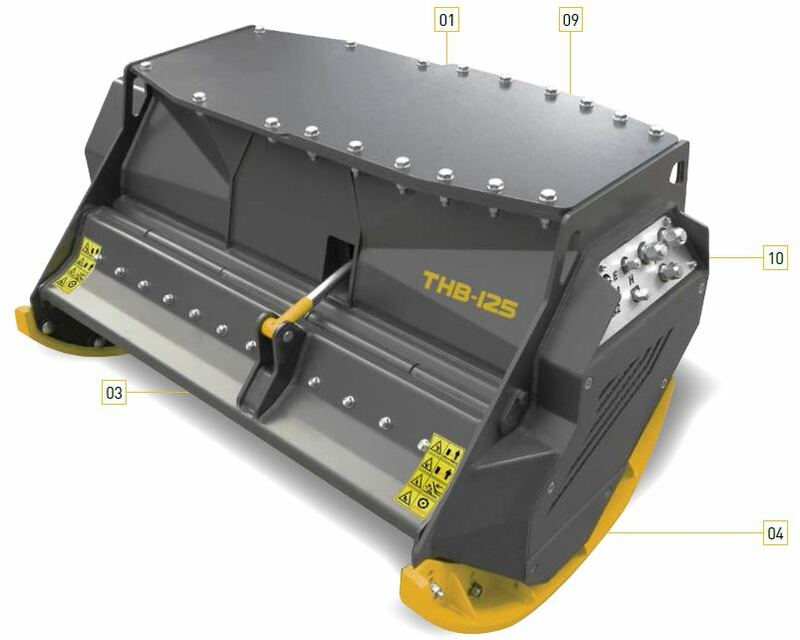 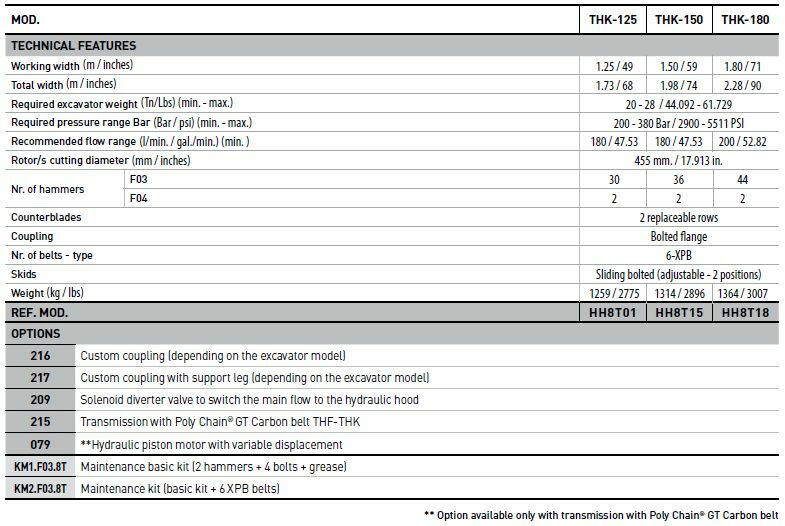 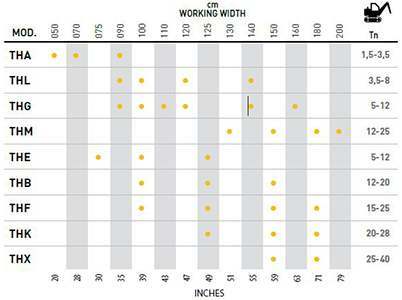 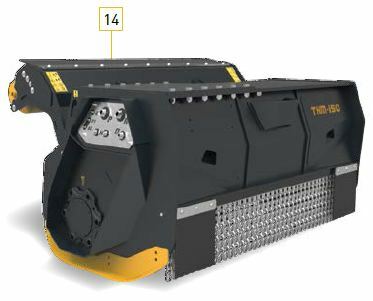 The Seven E-Series mulchers feature a large diameter rotor with a close ratio hammer configuration, resulting in long hammer life, increased grinding capacity and the production of fine “Classe I/Category I mulch” (see chart). 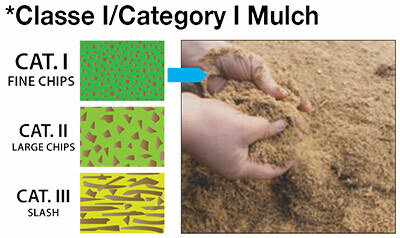 A fine mulch gives good ground cover and returns to nature quickly. 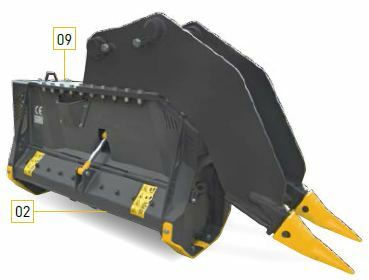 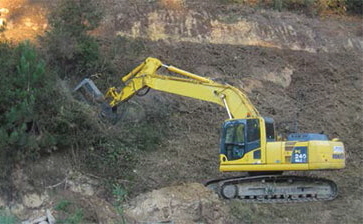 Excavator mounting allows the E-Series mulchers to reach into areas not accessible by wheeled or tracked mounted mulchers. 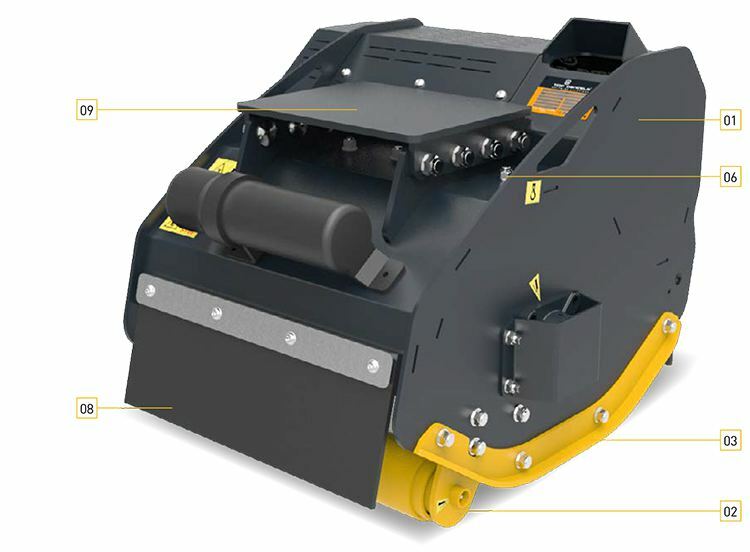 The Seven E-Series mulchers feature oversize roller bearings on the main shaft, a welded body of DOMEX® steel and skid pads made from HARDOX® steel giving the mulcher a long and productive life in the toughest of conditions. 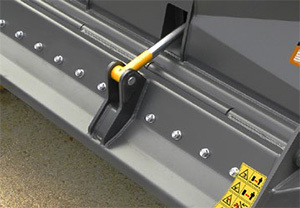 A hydraulically controlled gate ensures safe operation: gate is open for cutting and closed for mulching. 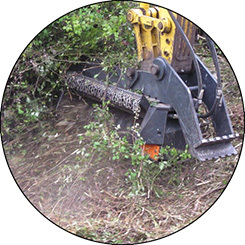 An ecological solution: mulching has proven environmental and economic advantages over the use of chemical sprays to control brush growth. 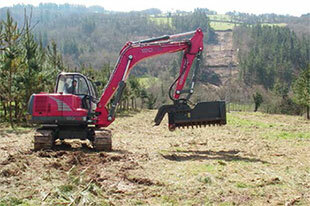 Mulching eliminates the potential danger to the soil and water table. 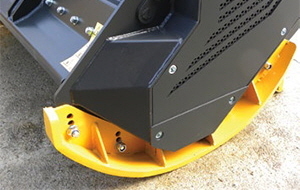 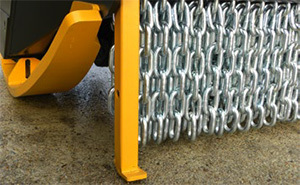 Options: Third Member Integral Mounting Bracket Foot for E-Series mulchers. 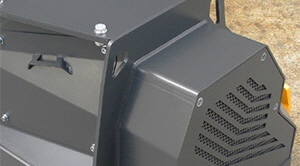 Welded mainframe with double layer of high strength cold forming DOMEX® S700 steel. 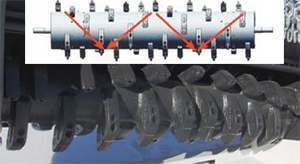 Replaceable hammers made of hard alloys with carbide wear points (F03 Hammers on center rotor, F04 hammer on side). 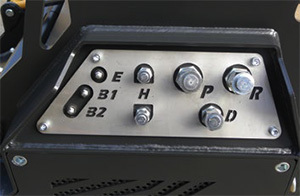 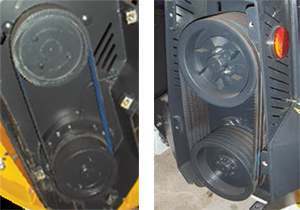 System for assemblying the hammers to the rotor with special socket connection between bolts and lugs. 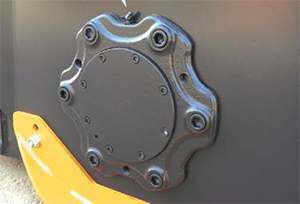 The bolt head is completely embedded into the lug and ensures a precise fit, preventing rotation and loosening. 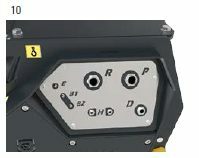 The bolts are 10.9 quality and Ø27 mm with lock nut. 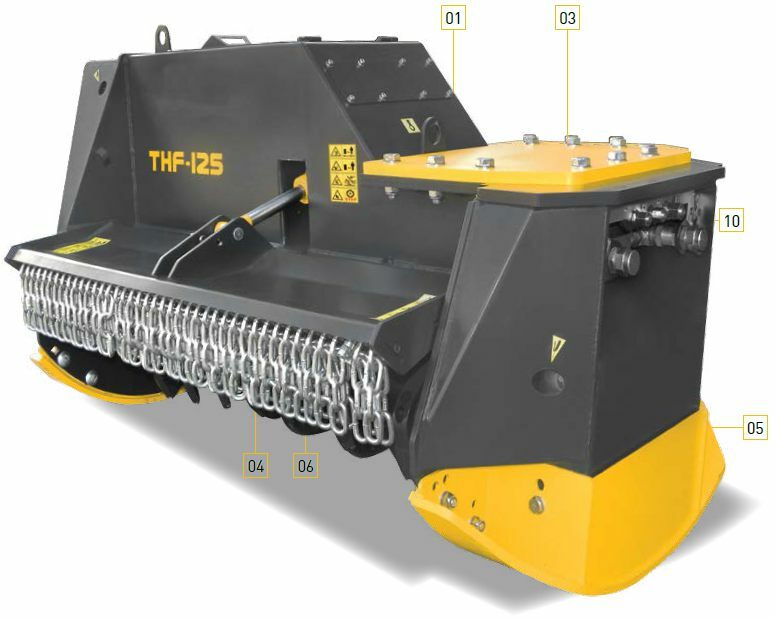 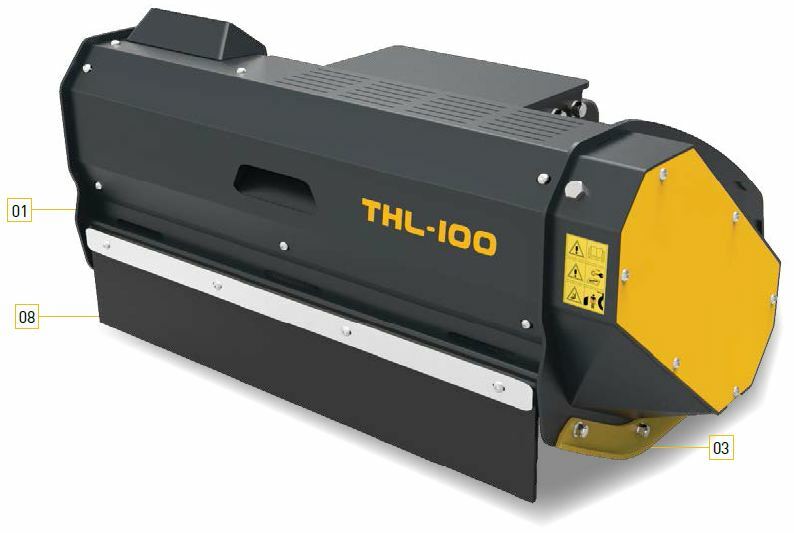 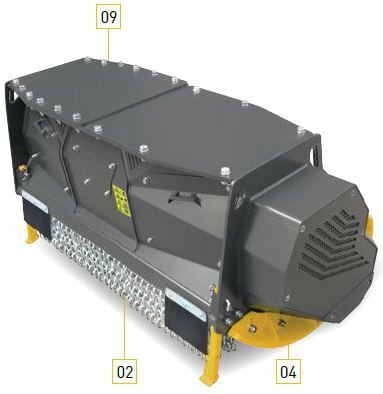 This is the most robust assembly system in the market for swinging hammers, ensuring no bolts breakage and avoiding downtimes during work. 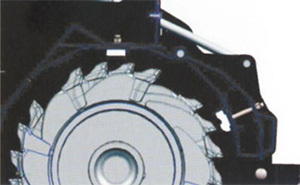 05 Hammers assembled to the rotor with Ø20 mm bolts. 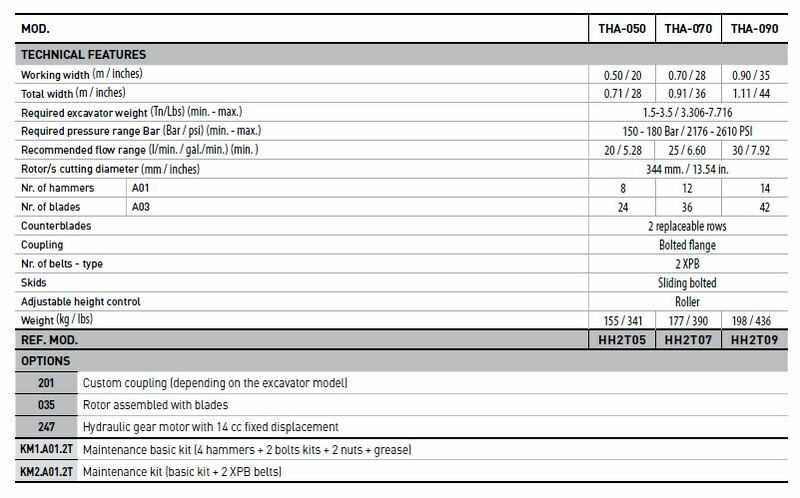 08 Hammers with 2 carbide tips F03 + F04. 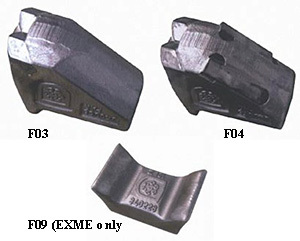 07 Hammers with 2 carbide tips F03 + F04.